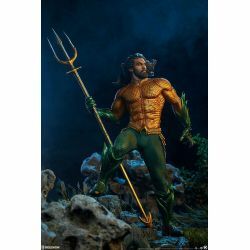 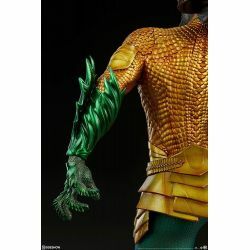 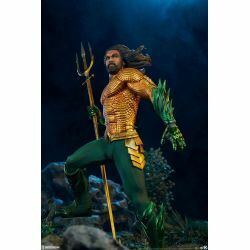 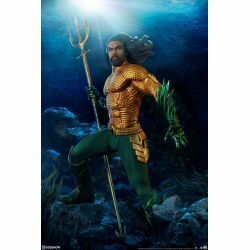 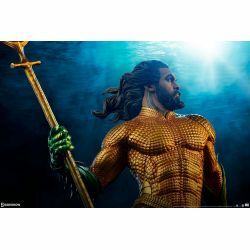 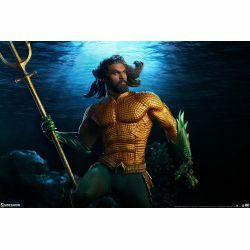 Aquaman Premium Format Sideshow Collectibles : 64 cm height collectible figure of Aquaman, the DC Comics character, as seen in the Aquaman movie. 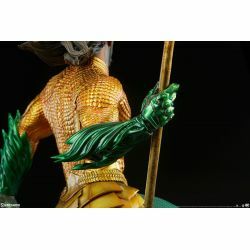 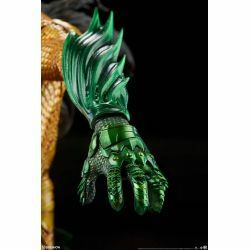 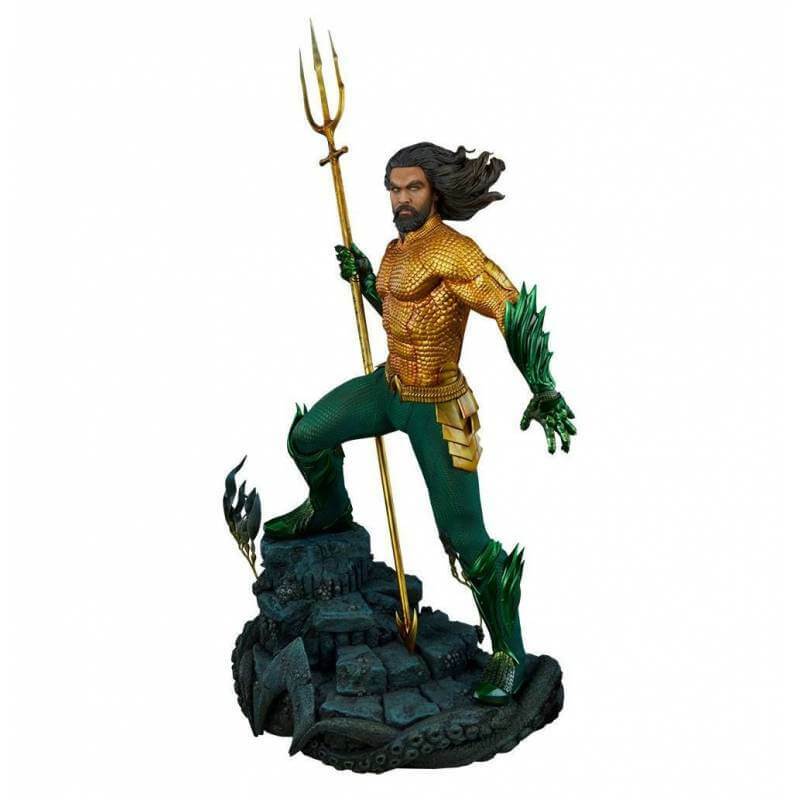 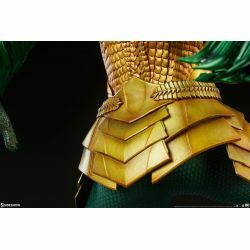 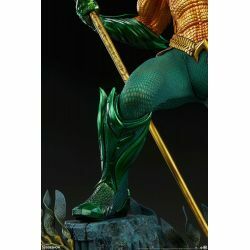 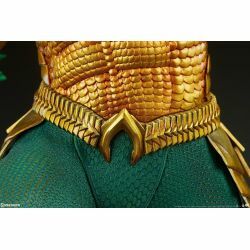 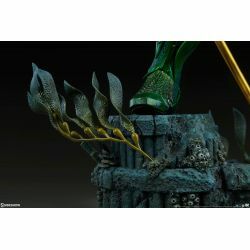 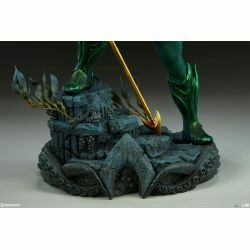 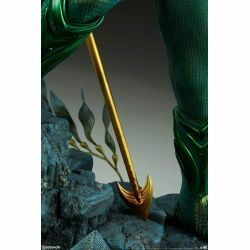 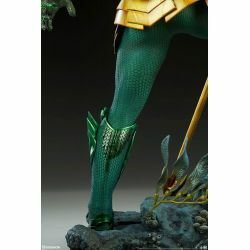 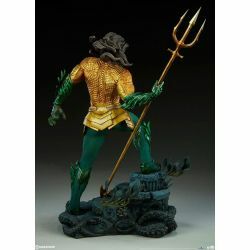 The Aquaman Premium Format Figure measures 64 cm tall, capturing the majesty of the aquatic DC Comics hero as he appears on the silver screen. 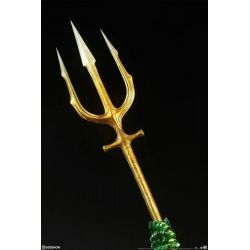 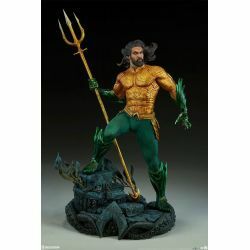 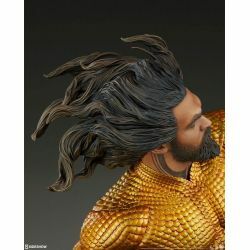 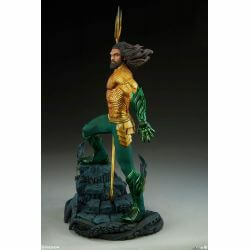 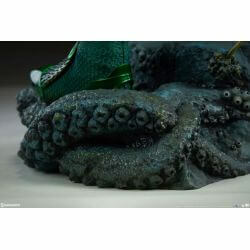 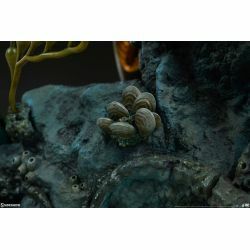 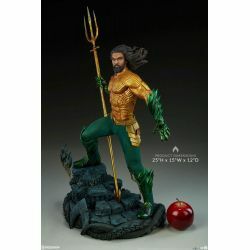 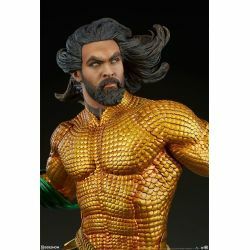 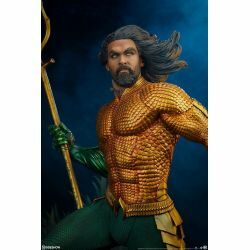 Painstakingly sculpted based on Jason Momoa’s likeness from the film, his lifelike portrait features golden eyes and flowing hair to represent his heroic undersea presence. 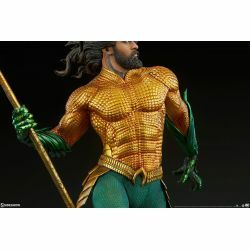 Give him permission to come aboard your collection add the Aquaman Premium Format Figure to your universe of DC Comics collectibles today !